Using a gear reducer has many benefits, especially in the torque output. Despite this, there can be some drawbacks to this technology that can be easily managed with proper technical care. Use of Precision Gears. Here, precision gear reducers in place can correct issues directly. Customizing gear reducer technology takes time and effort, but can mitigate backlash efficiently. Use of Modifications. This gear reducer technology would utilize other means to counteract backlash. This includes readjustment, springs or holders to assist the work. Use of Filler. The space between the gear reducer and the main gear can help reduce any backlash. Fillers such as plastic or other materials can be used to cover the gap between the gears. Gear Maintenance. Because of the increased number in types of gears, there is more effort in maintaining gear reducers in use. This includes checking the gear teeth as well as the lubrication between and amongst the gears regularly. Alignment. This is probably the greatest issue with gear reducer technology. With the increased number of gears, there is a higher probability for misalignment when high speeds are employed. Alignment is always an issue you should keep in mind for regular maintenance. Gear reducer technology has both benefits and drawbacks. These drawbacks include the compensation for backlash, increased gear maintenance and need for alignment checks. 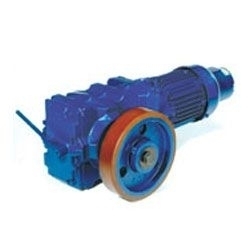 While these may be issues, these are easily managed so that the gear reducer technology can be effective and efficient. With regular maintenance, alignment and inspections your enterprise can assure the prolonged used of important machinery. Have any questions about gear reducers? Contact Bauer GMC today to speak with an expert!